Amber Pearson and Stephan Darland’s new, dark and dour Fur Foxen album is a funky funeral pyre of oddities that span an acoustic soundspace. Their sound pleases, featuring organic folk interlaced with lovely, mournful cello, glinting xylophone and violin solos to strike the heart. 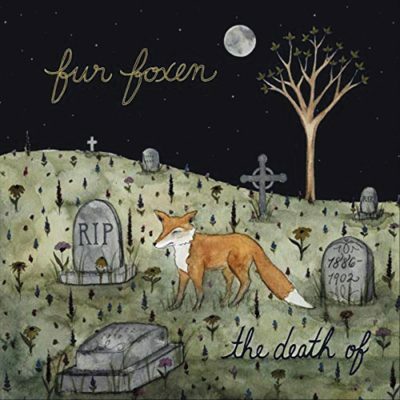 Their curious genre descriptions seem spot on, as Fur Foxen are inescapably folksy. “Better Death” and “Come Moonshine,” as the great majority of their tuneful cohort, offers a simple guitar tracks with female vocal collaboration from Pearson. Lyrically speaking, Fur Foxen is evocative and antiquated with the traditional nature references and Southern, bluesy cultural vibrations alongside morbid imagery and an undercurrent of solemn resignation, especially notable in “Fault Inside,” “Murders and Metaphors” and “Mr. Brown’s Funeral.” One might imagine Fur Foxen being an apt fit for the patio set at a coffee and beignet café just off Bourbon Street on a cool night. “Huckleberry Wisdom” takes string instrumentation to new heights with a dissonant opening and strange sliding notes. Second-to-last track “Until The Moon Hides” brings a clean electric guitar, displaying Person and Darland’s skills for the classic and the unusual intermingling. Darland’s vocals are clean and crisp with moments of impassioned growls and gravelly intensity. The backing vocalist is, at times, annoyingly off pace and unrefined, though it’s unsurprising in their raw and natural sonic style.